Bancroft OPP is warning the public about the dangers of going out onto thin ice. This comes after they responded to a call on the York River. They found youth going out onto the ice. According to police, the ice around the spot where they were playing was thin. After getting them off of the ice, officers spoke to the youth about the dangers of thin ice and what could have happened if one of them had fallen through. 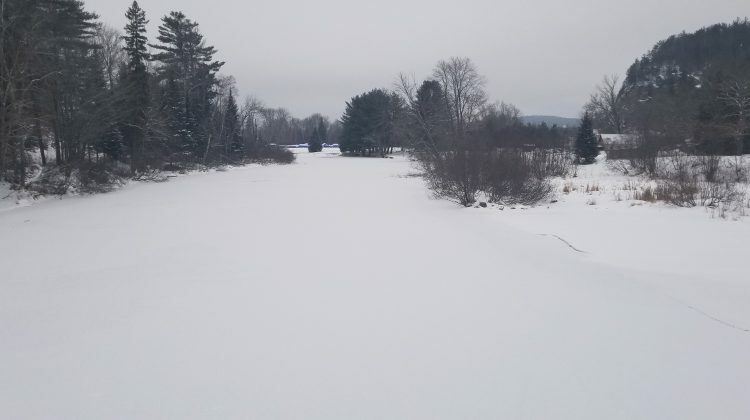 Bancroft OPP, North Hastings Fire Services and the Hastings-Quinte Paramedic Services said in a press release that it’s dangerous going out onto unknown ice, thin ice or anywhere else where there may be a current such as in a river or a spring. “No one wants anyone to be in a dangerous situation and there are so many different factors when it comes to the thickness, and safety of ice,” the OPP said in a press release.